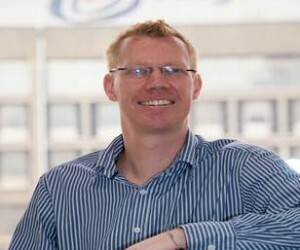 A Johannesburg businessman has significantly enhanced his business’s operational model and impact in the computer simulation industry, following his graduation from Anglo American’s Entrepreneur Internship Programme (EIP). Thirty-seven year old, Parkview resident, Renier Dreyer participated in the EIP from March 2012 to March 2013. The programme provides a stepping stone for entrepreneurs who are interested in developing or growing a business, but do not have access to the requisite skills, industry knowledge, business networks or support. Following this involvement, Dreyer believes that he is far better equipped to meet the objectives of his supercomputing solutions business, CrunchYard. “The lessons I have learned regarding business processes will help me to create an efficient enterprise that can generate cash on a consistent basis. The processes set in place will also help greatly with the marketing and sales elements of my business. “Consequently, improving service levels will help retain clients and draw in new ones, while managing cash-on-hand will further enhance the growth of the business through new products and opportunities. CrunchYard aims to provide access to supercomputing power over the internet on a pay-per-use basis. The company, which was established in November 2007, is based in Braamfontein, Johannesburg, and has two full-time and two part-time employees. Dreyer says he plans to double the size of CrunchYard every year, and once the local industry has been serviced, he strives to make an impact in the global community. The company is already in the process of moving into new fields such as computational chemistry and fluid dynamics. Further product offerings are also being developed that will help communities of engineers work together on large-scale projects. During the EIP, Dreyer met with a number of people from both Anglo American and business incubator company Aurik. He also received a stipend from Anglo American during the course of the EIP which allowed him to focus entirely on building CrunchYard, as he did not have to work anymore as a part time lecturer at Wits University. 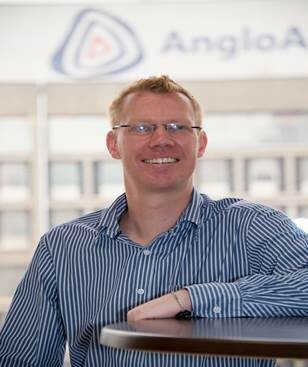 Besides Dreyer’s involvement in the EIP, he also received R1 million in funding from the Supply Chain Fund, which forms part of Anglo American’s dedicated enterprise development arm, Zimele. Godfrey Gomwe CEO of Anglo American’s Thermal Coal business, who was instrumental in the development of the EIP, concludes that Dreyer’s business development demonstrates the tangible achievements of the EIP. “The EIP was formulated with the intention of providing high-level entrepreneurs with the basis to tackle areas in which they may lack experience and insight, in order to provide them with a basis to mould their businesses into thriving long term enterprises.